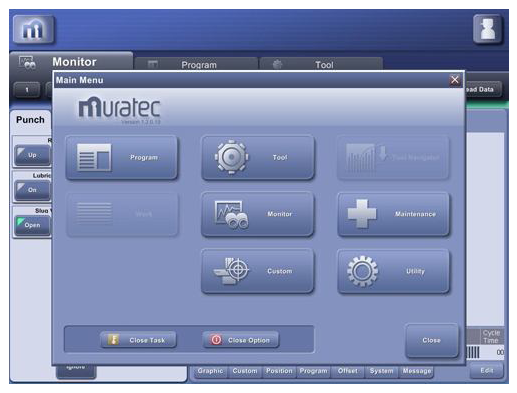 Scheduled job production guides the operator on a standalone machine and controls automatic operation using a loader system. 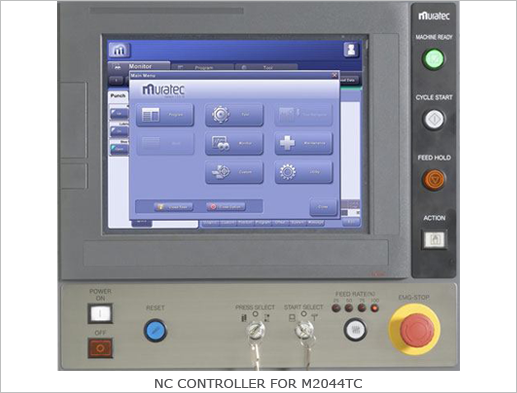 Program NC and scheduling data is automatically downloaded to the machine. Required tooling, material and work holder setup information is also displayed. The current processing position during machine operation is displayed in red. 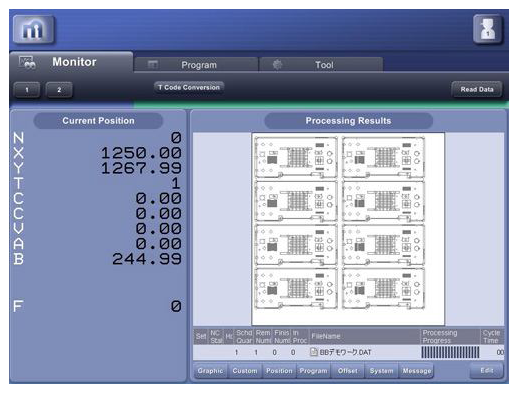 This allows recognition at a glance of the punching sequence and production progress. 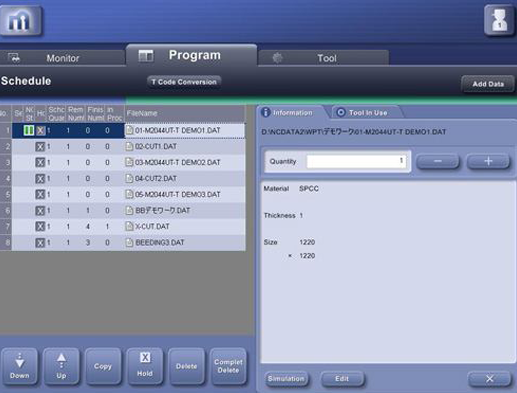 The processing modes of 1000 tool types with 5 pattern setups can be registered for 30 material types and thicknesses. 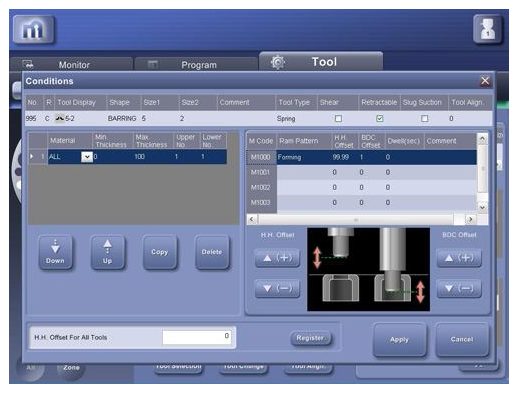 This allows for setting the detailed processing conditions of all the customer’s tooling. Various utilities are available to the operator. 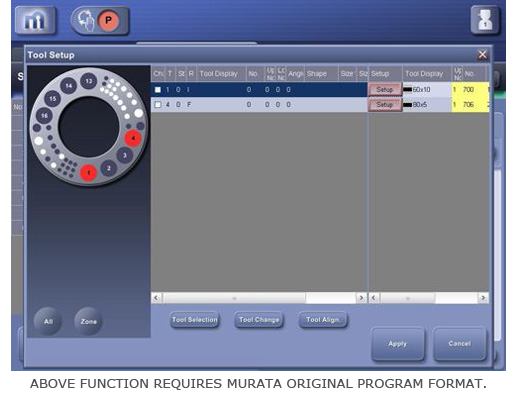 Optional log files can be generated for machine operation and program start/finish times. Also machine alarm history. Displays information on current tooling set in the turret. 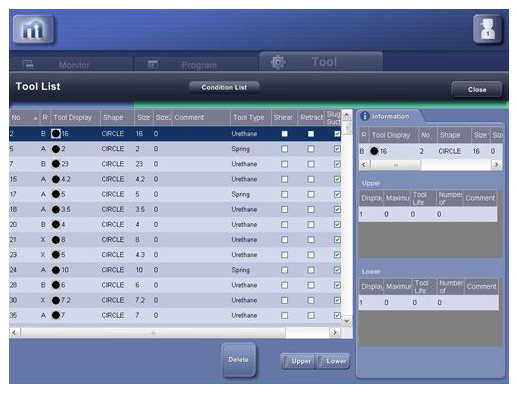 This allows tooling in scheduled jobs to be analyzed and it automatically determines when tool changes are required.